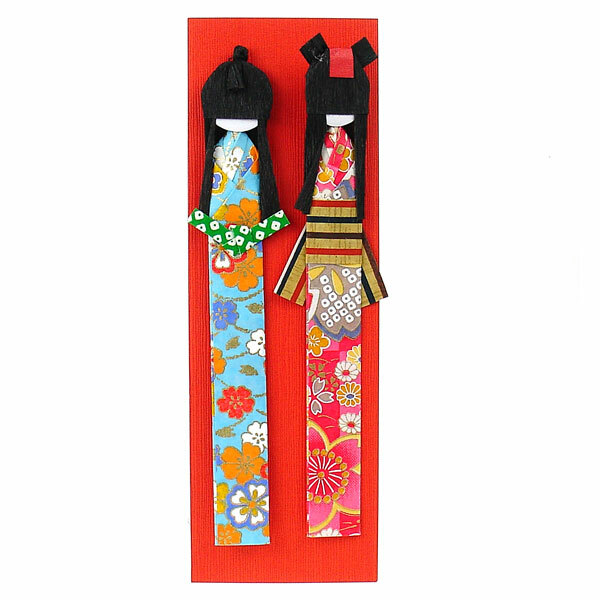 Exclusive to The Japanese Shop the Geisha Washi Paper Japanese Bookmarks is a pack of two traditional Japanese bookmarks which have been made in the shape of Japanese geisha girls from beautiful washi paper. Geisha Washi Paper Japanese Bookmarks are a very attractive, affordable and typically Japanese little present for book readers! Please note that colours and designs do vary. Buy your Geisha Washi Paper Japanese Bookmarks online and have it gift wrapped free of charge, or visit us at our showroom for this and many more authentic Japanese bookmarks!